It's time to introduce you to my new mode. It is a "Skrach build" small MiniATX "box" case with two chamber. Case dimensions are still waiting because I am waitng parts to arrive to be able to accurately measure and go to cut plexi. 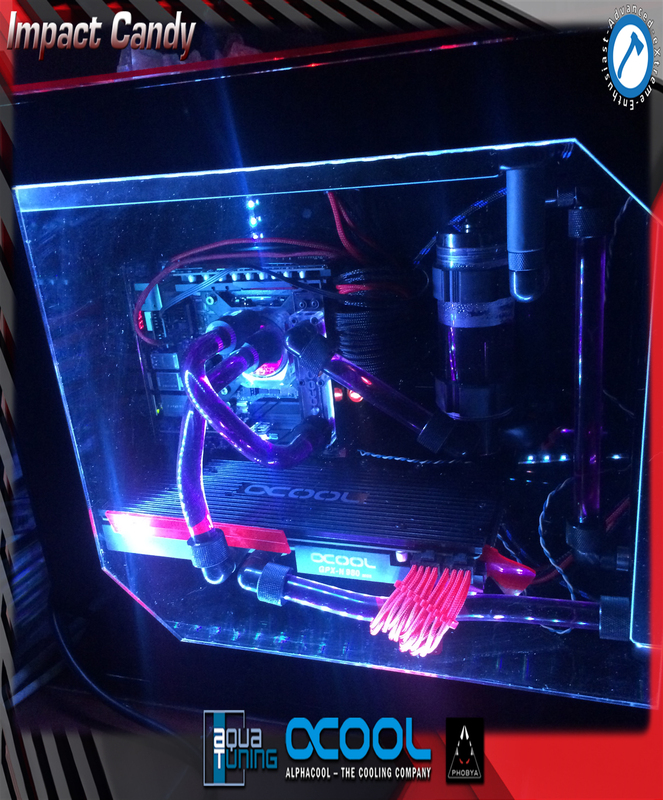 Like last mode, this is supported by Aquatuning, who sponsored all the parts for watercooling. More pictures and details when parts arrive, for now i got MSI 980, which is waiting for the rest. Last edited by Proka; 12-02-2015 at 03:48 PM. Got my parts and did a small unboxing. Here is the list of parts with few pictures, hope you will enjoy! Last edited by Proka; 12-02-2015 at 03:34 PM. Plexi ready for cuting, plan for the weekend bonding and bending. There was a slight change in color, all cut and ready for assembly. a little worse pictures because i dint have my camera with me. One testing photo, to see if everything in place. The mod is done, i just need to do few more cable sleevs and then to fotoshoot. Here are a few pictures from assembly day, i would like to thank my friends Atila Gobor aka Steamrooler and Dusan Srbljak aka animaN for great assistance!